Through a woman, we enter this world. By a mother’s love (not excluding a father’s love) are we nurtured from the womb to her heart, then her arms and out into the world. Sometimes, we are nurtured straight from her heart to her arms and then to the world. No matter what, there is a revolving door back to her heart and she loves her children unconditionally. 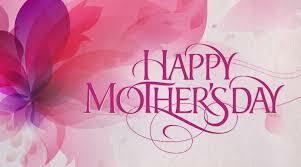 Happy Mother’s Day to all moms!!! And I am praying sincerely for those moms who have lost children and children who have lost their mothers. May the Comforter continue to comfort you through this time. Her praise has not gone unnoticed and her tears have not gone unseen. Happy Mother’s Day to every woman who has birthed a child in love and hope, who has nurtured a child through love and the Word of God!